European Society for Blood and Marrow Transplantation (EBMT) and European League Against Rheumatism (EULAR) set for Frankfurt. 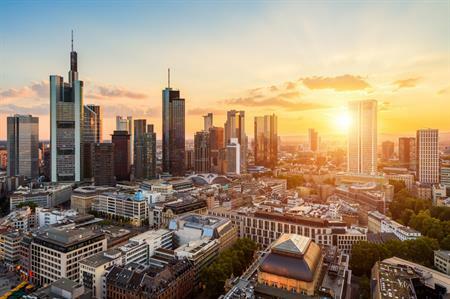 The annual convention of the European Society for Blood and Marrow Transplantation (EBMT) is expected to attract 6,000 delegates and will be held at Messe Frankfurt from 24 to 27 March 2019. The European League Against Rheumatism (EULAR) convention will see 15,000 delegates attend between 3 and 6 June 2020. "We are regularly involved in organising national and international medical conventions, sometimes with more than 15,000 participants," said professor Ulf Müller-Ladner, one of the organisers. "From this experience, I can safely say that Frankfurt is in the Champions League of international congress destinations. "The support provided by the well-coordinated team of the City of Frankfurt and Messe Frankfurt shows the professionalism of the partners, as could be seen to great effect when the Rheumatology Congress was held in Frankfurt in 2016." Uwe Behm, member of the executive board of Messe Frankfurt GmbH added: "We are very pleased with the success of these joint efforts, which once again show the advantages we offer and the excellent image we have as an international congress location."